Joe sez: If you've missed the previous guest blogs, they've been fascinating and informative, and a nice change of pace from my spouting off my tired, old rhetoric. 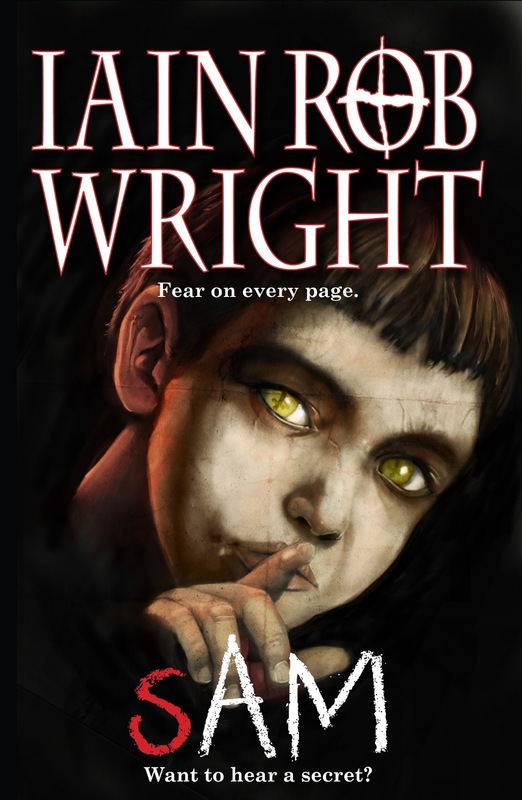 Hi my name is Iain Rob Wright and I am a Horror and Thriller writer from the UK. I am also an “Indie” writer who is making a good living (about $55,000 last year). In the spirit of Joe’s blog, which is primarily focused on sharing knowledge and experience, I am going to try and identify some of the things that have worked for me. They may work for you, they may not, but my hope is that they do. First off, I would just like to thank Joe. Not merely for allowing me some space on his blog, but because he is a guy that has been instrumental in my career for the last two years. 90% of the things that have been successful for me have come as a result of his reliable advice. So, as such, the first tip that I am going to divulge to you is - TIP 1: LISTEN TO JOE. Now, to put what I deem ‘success’ into perspective, I should share my life now compared to my life before I self-published. Two and a half years ago, I was a phones salesman. Due to being a bit of an emotional wreck during my teen and young adult years, I had dropped out of the Army, dropped out of University, and pretty much dropped out of life. I was pretty miserable. The one thing and only thing I had going for me was the woman who is now my wife. Her support and belief in me led to her pushing me into doing “what I’d always dreamed of.” She made me start writing in my spare time more and more, and most importantly she made me stay the course and actually finish a novel in full instead of constantly giving up halfway. That novel was picked up by a small publisher and I was over the moon. To this day, it makes me only a pittance (about $150 a month). While the money was underwhelming, working with this publisher did allow me to network with other writers, find advice, and also form relationships with editors, artists, etc. It entrenched me in the publishing world and made me certain that it was where I wanted to be. Seeing that this small publisher had not exactly done much to make my novel a success (although I believe they did what they could), I decided I would do just as good a job if not better. So I learned about KDP, Createspace, and Smashwords, read Joe’s blog, and tried to write another book. That book, The Final Winter, started earning me the same amount of money each and every month as my monthly salary selling phones. So I quit my dayjob. Now, two and a bit years later, I have six novels out (including the one I gave to a small publisher) and am earning more than twice what I did working nine to five in a job I hated. I have recently married, am a happy and stable person, and I absolutely love getting up in the morning to go to work. Self-publishing very literally changed my life – it made me richer, happier, and less stressed (when considering how working in sales used to make me feel). What still makes me sad, though, is that there are a lot of really decent, really talented authors out there who have not had the same success. I want to see more and more of them stuff their unfulfilling day jobs and live their own dreams – because, right now, it is more possible than ever. So, on to my advice. Here are two examples of the covers he has done for me. The benefits of working closely with a single artist should be apparent. He has created what I call a ‘brand’. My name appears the same on all books, giving me the allusion of being ‘mass market’. He also creates atmosphere with colour palette as well as actual imagery (It’s very obvious that Ravage is a bleak tale and that Sam is spooky). In a nutshell, though, Stephen makes my books stand out on Amazon’s search pages – and that, really, is the only thing he needs to achieve for me. Now, in regards to artwork I would give the following advice: make it simple. 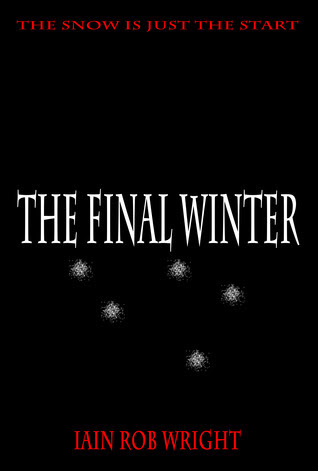 My bestselling book is The Final Winter. It is my most basic cover (I actually did it myself before I met Stephen). It is a white font on a black background, and that is it. Why does it sell so well? Because it provides more questions than answers. 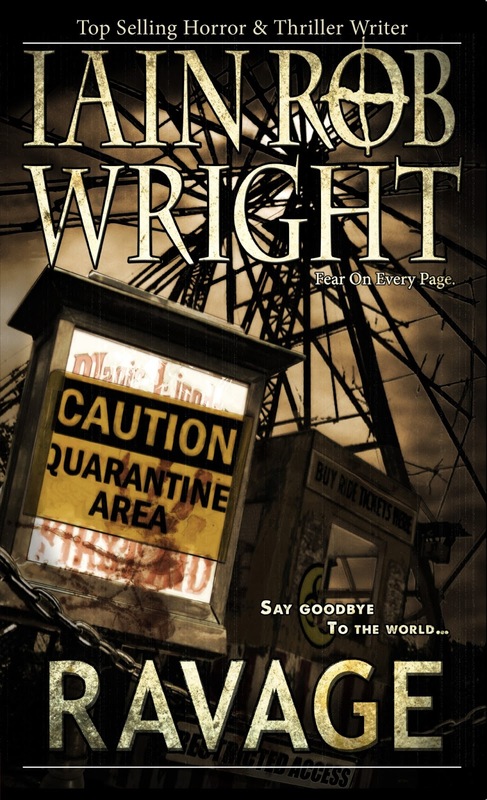 If you use your cover to create atmosphere and theme – rather than overtly shoving a zombie or a hockey masked killer in the browsers face – then you have a good chance of getting them to take the bait. Leading to my next step in gaining a reader. Your product description is your 30 second window to convince the reader to try your book (imagine being in The Dragon’s Den trying to get an investment). You should write it in the present tense as if it is happening right now (it’s more hooking that way) and you should again seek to raise more questions than answers. Don’t give the plot away; just make subtle allusions to it. In my product description for SAM, I tell the browser that “Sammie has a secret,” but I don’t say what. Hopefully the browser will have enough curiosity that they simply have to know what exactly that secret is and buy the book. Also, don’t make your description one single hunk of text. Use short paragraphs and make use of taglines, subheadings, and anything else you can think of. I, for example, use bullet points for some key details about the book. I mention word length (so as not to disappoint anyone expecting something different and thus leaving me a bad review). I explicitly mention genre (again so that there is no confusion leading to disappointment for a reader), and I may mention other key things (such as a “Twist ending” or bonus content.) Bonus content is a great way to distinguish your book from that of your competitors. People love value, so give it to them. 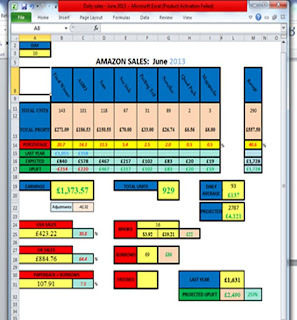 The reason for my bullet points is because I think shoppers like to be reassured that they are buying what they want. If you were selling a washing machine on Amazon, it would list the capacity, spin cycles, and energy efficiency. Whys should a book not be sold in the same, reassuring manner? Even after you catch a fish, it can still wriggle its way out of your hands and back into the ocean. Kindle purchases can be refunded. I won’t go into detail here as this is really down to you being a good and professional writer and also making sure that your formatting is perfect. So those are my three tips on how to hook a single reader and keep them. Following is my advice on how to hook a whole bunch more and forge a stable career. Beethoven didn’t just decide to sit down at a piano one day and play Moonlight Sonata. No, he started playing at a young age and did so nonstop until he died. In other words, he trained and practised. All writers need to do the same. While some of us may have been born with the writing gene – we are generally more sensitive and emphatic, with imaginations that take on a life of their own – it is no different than the son of a champion boxer having the potential to follow in his father’s footsteps as an athlete. He may be predisposed to being a good boxer, but if he doesn’t get his arse in the gym, he’ll never be a champion like his dad. And you’ll never be a good writer unless you study the craft. I have read countless text books, blog articles, and negative reviews (the very best way to find out your flaws), and I can honestly say that without having done that, I would be writing a bunch of unreadable rubbish. While you may get the spirit of your book across with potential alone, you won’t get a reader through a 100k words with a smile on their face and a desire to buy more of your work. You need to learn and train yourself to put your ideas into words in the most professional way possible, and the only way to do that is to practise and to learn from experts. Yet I still know some obnoxious authors who explode at any one-star reviews and post their rantings all over Facebook. They come across like Divas who cannot accept that their brilliance is not revered by all. But in 9 out of 10 cases those negative reviews bring up very valid points that the author would do well to listen to. My own shortcomings were regularly highlighted early on in my career. I was criticised for mixing Americanisms with British slang. As a child of the nineties, I have grown up on American culture as much as British. This resulted in me having a confused writing voice that led to me saying “put the cookies in the trunk, buddy” one minute and “bloody hell, geezer,” the next. But, thanks to the fact I took heed of my negative reviews and made it a focus to work on, I am now a better writer. If I had ignored those bad reviews I would still be making the same mistakes today, and losing readers as a result. So treat your negative reviews as gold dust, because they are one of the purest ways for you to improve as a writer. 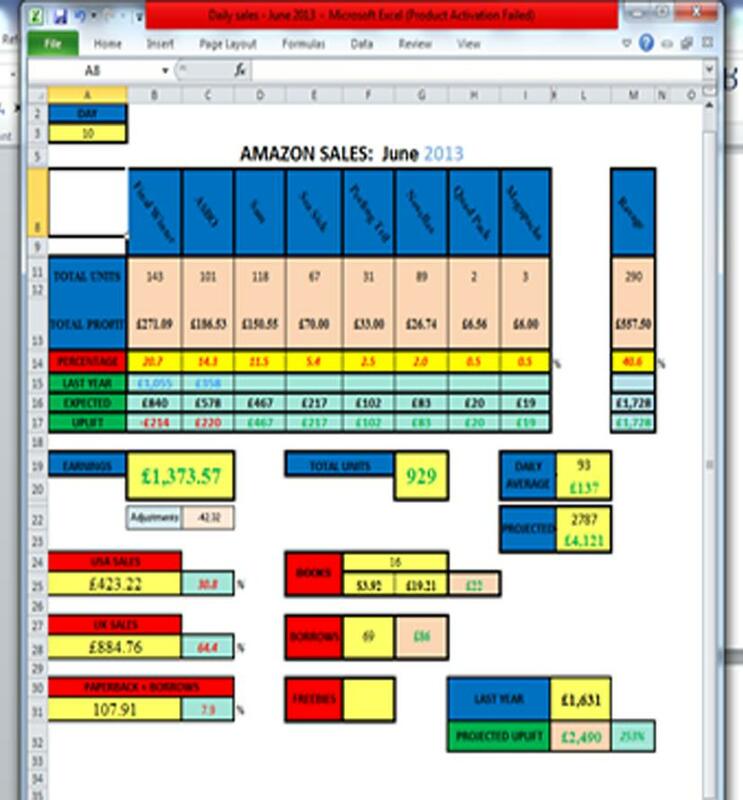 For anyone doubting how much I treat my writing like a business, here is a screen-print from the 10th of June 2013 featuring the spreadsheet I use to track sales on a daily basis. If you actually want your books to put food on your table then you need to treat them like products. The goal is to sell as much of your product as possible. You do this in the same way any other company would sell its wares; by promotion, PR, customer service, marketing, pricing, and viral/social presence. You also need to realise that fans are also customers. Make them happy – ALWAYS. Never be a douchebag to a fan. Always reply to their emails and messages (until you get so successful that doing so is impossible). Ask about them and their lives instead of just plugging your products all the time. Treat them like human beings, like friends, and like the people that are literally the difference between you making a living as a writer and not (because they are). If you have a hundred happy fans, then they will support you and share your work until they become a thousand happy fans, and so on. Every time I post something about a promotion, I know that I am guaranteed to have it shared by a few dozens of my loyalist fans – and for that I love them. You should love your fans too. They are also the best way to get positive reviews. When I compare myself to most other authors (traditionally published and indie) the number of reviews for my books dwarves the number for theirs. I believe this is due to the relationship I have with my fans. Reviews unequivocally translate into sales, so anything you can do to get them should be a priority. I hate – ABSOLUTELY HATE – authors who I have never spoken to before, messaging me on Facebook asking me to share the book. Why the hell would I? What have they done for me? How hard did they work to get my 2000+ facebook friends? But there are many many authors who I would help out without them even asking me too. If I respect an author or even if I just see a book I like the look of, I will click ‘share’. If I see someone politely asking for help in a facebook group, I will answer their question (if I can). Every day I try to do things to help other authors, and I hardly ever ask for things in return. Why? Because I don’t have to. If I share and spread the word of a hundred authors and then post something about my own freebie promotion, I know that most of those authors will see the opportunity to repay the favour and click ‘share’ for me. If I badgered them all the time without doing anything for them in return, they probably wouldn’t like me or want to help me. Trust me, if you do favours for other people, they will support you in return without you even having to ask them to. And in that way, no one has to badger anybody else and we can all concentrate on writing. On a separate note, I spend 30 minutes a day on facebook and manage to keep in contact with all my fans and fellow authors. Anything more than that and you are just wasting time better spent writing. More books mean more money (and more fishing nets in the water). Nothing should take priority over getting down words on a page. I make a living from my writing. So does James Patterson. What’s the difference between us? Well, probably the same as a PGA golfer ranked no. 500 compared to Tiger Woods. Both are professional golfers, just at different levels of success. So why should I have to carry a label? While I am proud of being an ‘indie’ writer (I made it all on my own), I’m not willing to make a distinction between me and JK Rowling. We both do the same thing for a living, so why should I? When people Google my name (still can’t believe people actually do that!) they will find a professional looking website (www.iainrobwright.com) with all of my books. When they see my books on Amazon next to the latest Stephen King, there should be no difference in artwork quality or product description. When I go to the bank, my sole source of income (and the highest I have ever earned) is 100% from writing. I am proud of being an ‘indie’ author and do not take offence to those naming me as such, but the only label I willingly give to myself is ‘writer’. We, the unpublished (traditionally at least), are not a subclass. We are SPARTA! My last-but-one tip is the same as my first. While I hope some of my comments above are helpful, I am not a natural teacher in the way that Joe is. I don’t enjoy blogging, I don’t like doing news letters or mass emails, and I don’t enjoy experimenting with new ideas and pricing strategies (my novels are $3.99 and my novellas are 99c). I like to just sit down and write, while earning enough to look after me and my family. I’m a simple man. Joe is a pioneer. This is the bit where I plug myself and hope that you will help me. If anything I have written above has helped you in any way, please pay it forward by doing me a favour (remember what I said about favours). The second, and perhaps more important thing (although little is more important than crushing candies) is to help make my current promotion a success. To celebrate my latest release, RAVAGE, I have made it, and my first novel, THE FINAL WINTER, free to download for the next 5 days. Getting high numbers during a free download promotion has always led to an uplift in sales afterwards, so if you will be directly helping me towards building my wife a hot tub in the garden (yes, there really are some of us that can’t afford hot tubs. A tragic 1st world problem that is threatening to become an epidemic). Most of all, just support one another. As an individual we are strong, but as a group – a movement even – we are truly mighty. Feel free to add me on facebook and I will be happy to help you (as long as you help me). Take care everybody and have a successful summer! Joe sez: Thanks, Iain, for posting a lot of info here for writers to absorb. We all have our own roads to travel, and no two authors become successful (however you define it) by doing the same exact thing. You can certainly gain some wisdom from listening to Iain, or me, or countless other writers who offer advice. But that doesn't mean you have to follow my lead. It is entirely possible to become successful without listening to a thing I say. Your mileage will always vary. Looking over my blog since 2005, I've been right a whole lot. But I've also been wrong. Writers need to absorb as much information as they can, then test it themselves. Just because I'm rich and sell a lot of ebooks doesn't mean my way is the only way. I'm always pleased when I hear someone has read my blog and gone on to make a few bucks. At the same time, anyone who thinks this is a get rich quick scheme is in for a shock. Writing for a living requires a creative mind and an analytic mind, and neither are easy to come by. The more you read and learn and try, the likelier your chance of success. But always remember that this is your journey. You will have your own setbacks and hardships. You will try things that work for me and wonder why they aren't working for you. You'll have a lot of self-doubt, make mistakes, and face obstacles you never could have imagined. But if you keep trying, keep learning, keep questioning, keep seeking information, keep experimenting, and keep writing and self-publishing, you're going to improve your odds at success. That's how life works, and that's how the writing biz works.